The position of Town Mayor is one traditionally maintained in Huntingdon originating from historic Royal Charter. Huntingdon was first incorporated in 1205, by Charter of King John. In 1484, during the reign of Richard III, a milestone in self governance is marked by Charter decreeing that "the bayliff and burgesses of Huntingdon should form one corporate body with specific rights and freedoms". Substantial change occurred during the sixth year of the reign of Charles I (1600 - 1649). At that time Huntingdon was governed by an 'open' (by the standards of the day) representative corporation consisting of the Mayor, Alderman an Burgesses, and there were elections to the ruling body every year. In 1625 the death of a local businessman, Richard Fishborne, left a bequest of £2,000 to the town and the question of how to spend this money best was said to have caused five years of fighting at elections. The 1630 Charter granted by King Charles I began with a proposal to replace the old 'open' corporation and replace it with a 'closed' one. Huntingdon was to be governed by a Mayor and a small clique of alderman who would serve for life. And instead of being accountable to the townspeople, they would be accountable only to the Crown. It is said that Oliver Cromwell was so angered by the new anti-democratic charter that he soon left the town, selling up all his property in Huntingdon, and moving to St Ives in 1631. The fear was that the changed constitution threatened the rights of inhabitants of the borough in the common and town lands. The First Mayor under the 1630 Charter was Lionel Walden. 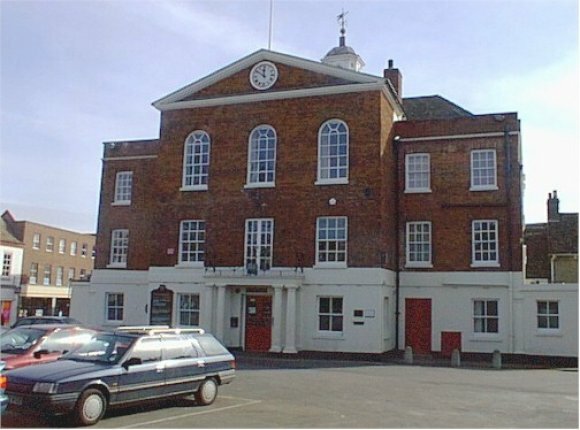 It stated that the title of the corporation was "the Mayor, Alderman and Burgesses of Huntingdon" and allowed a body comprising "a Mayor, High Steward, Recorder, twelve aldermen (drawn from 'the better burgesses'), and twelve Burgesses assisted by a Town Clerk, two sargeants' at mace, and subordinate officers." Rules were laid down for annual election of the Mayor from among the senior aldermen. Under these arrangements, The Mayor, Recorder and Aldermen formed what was known as the common council. The Mayor was also coroner and clerk of the market and assisted by a recorder, held quarterly courts of session for trials within the borough and a court of records for the recovery of debts, once every three weeks. Bye-laws made in 1680 supplemented and enforced the Charter. Under these, the aldermen could fine any alderman refusing to take on the office of Mayor. Any alderman residing six months out of the borough was disqualified; they were to be fined for non-attendance at the council for incivility to the Mayor; and both they and they Mayor were to provide themselves with gowns. The 1630 charter stayed in force until 1835 (with a small break between 1660 and 1688). The the closed corporation of Huntingdon and the borough of Godmanchester were drastically reformed following the Municipal Corporations Act of that year. The government of the towns was passed to a Mayor, Alderman and Councillors and the vote was given to the rate payers. In 1832, the boroughs were united for Parliamentary purposes. The name of the corporation was changed to 'The Mayor, Alderman and Burgesses of the Borough of Huntingdon,' a title which remained unaltered until 1961. 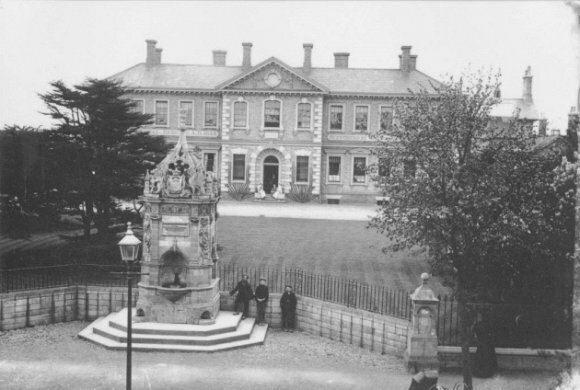 The Town Hall in the 1970's. on 1st April 1961, Huntingdon and Godmanchester Borough Council replaced the separate municipal boroughs of Godmanchester and Huntingdon. 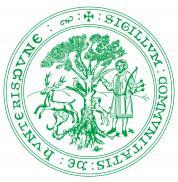 This title expired on 31st March 1974, with Huntingdonshire District Council as the successor authority. The old Borough therefore remains part of the District Council as set down by Charter belongs to that of the Chairman of the District Council. As such, the Chairman of the District Council enjoys precedence throughout the district. The Local Government Act 1972 caused a complete re-organisition of local government in England and Wales. In 1974, it became compulsory for Mayors to be selected from Members of the Council. Local Councils were given the power by resolution to give themselves the title of Town Council and to confer upon the Council Chairman the title of Town Mayor. Godmanchester secured its own Town Council in 1982 and the area of authority of Huntingdon's local council reverted to the same boundary as the pre-1961 borough under Huntingdon Town Council. HTML5 validated. WCAG compliant. Page generated in 0.105 seconds.